With NaNoWriMo coming up next month, it's a hot topic around the interwebs. But not everyone has the desire to participate - and that's okay. To each, his own. 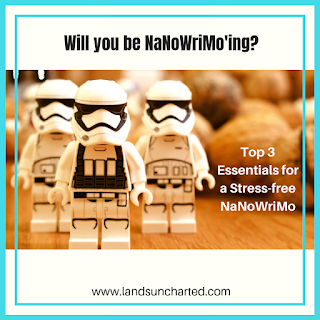 However, if you do want to participate NaNoWriMo, then I want to encourage you by sharing a few strategies for enjoying the challenge and avoiding the stress. Set your own goal - Challenge yourself? Yes. Push your boundaries and seek to grow as a writer? Yes. But do it in a way that works for you. You don't have to aim for 50K words in thirty days. You don't even have to focus on one writing project. You can be a Nano Rebel! Feel free to embrace the spirit of the challenge on your own terms and define a goal that works for you. Connect with others - Whether you’re a plotter or a pantser, the beauty of nano is the comradery and accountability. Check out the various online and in-person opportunities to connect with other nano'ers. Stock up - This isn't just about snacks and writing supplies. It's also about inspiration, motivation, and fun. The point is to create an environment that infuses your writing process with joy. For me, that's coffee, notebooks, pencils, devotions, and crazy socks. Will you be Nano'ing? If so, how do you prepare? 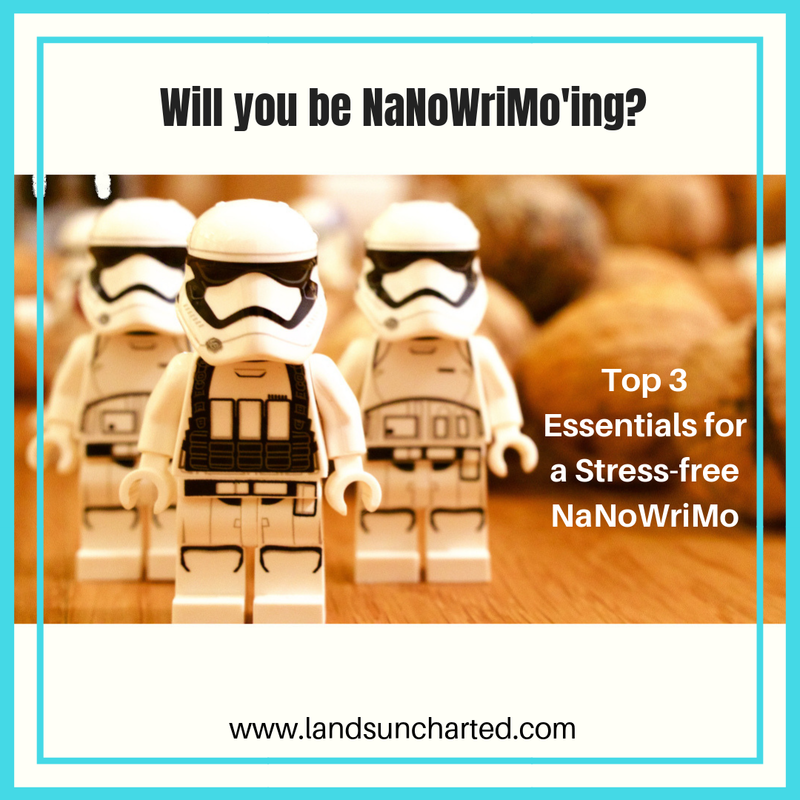 Don't know what NaNoWriMo is? Learn about it here: https://nanowrimo.org/about. No NaNo for me this year. I've done it successfully (and unsuccessfully!) in the past, though. It can be lots of fun! Yes, it can be fun and many have drafted novels they went on to publish. That's part of what inspires me to keep trying. But I also understand NaNo not always being a good fit. I almost didn't do this year either, and, as it is, will be started a few days late. Wishing you well on your writing journey and future NaNoWriMo endevours!